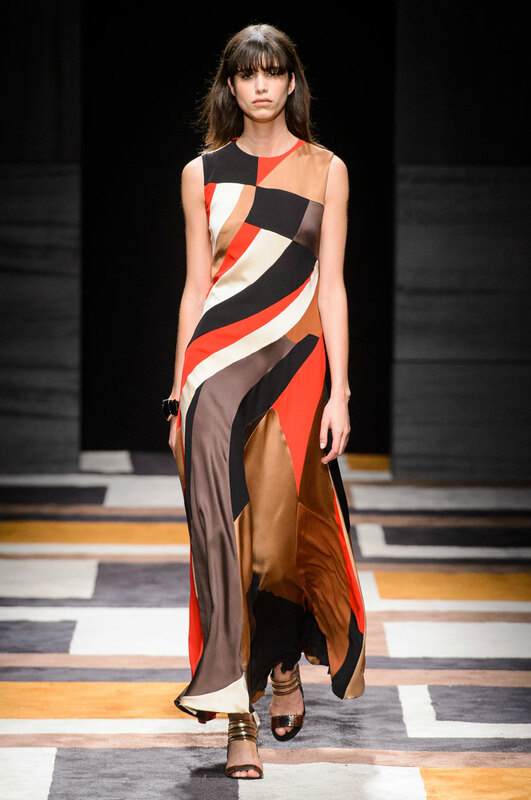 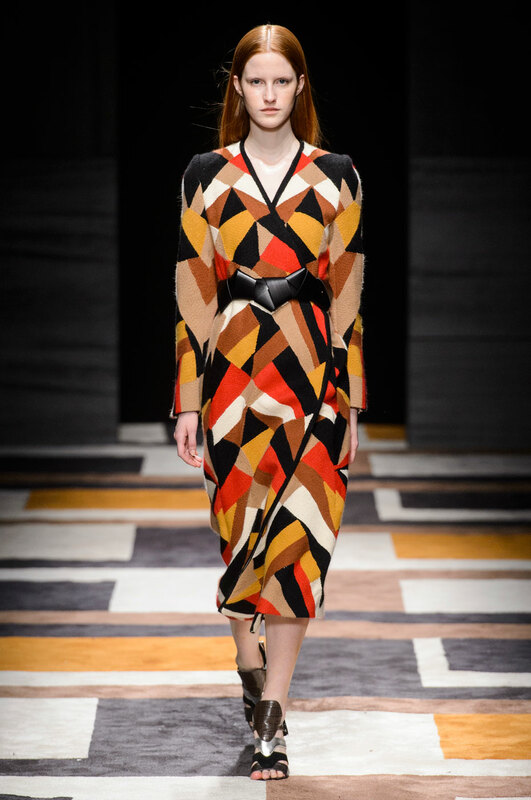 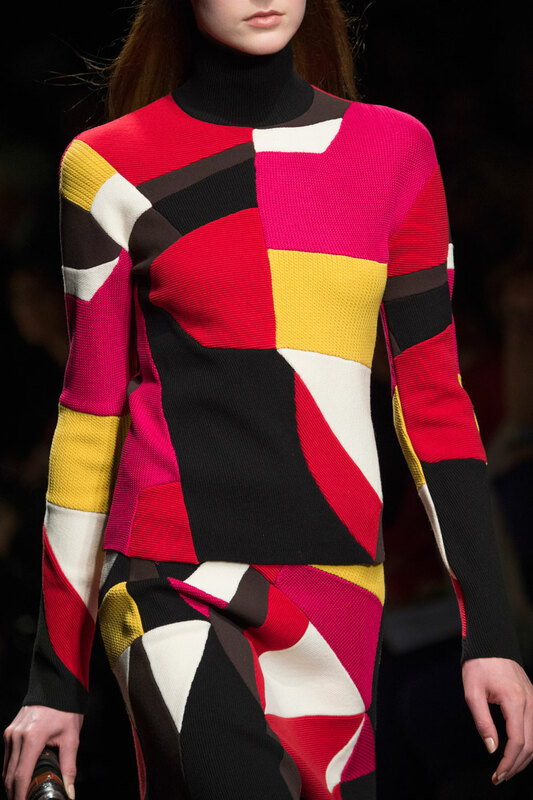 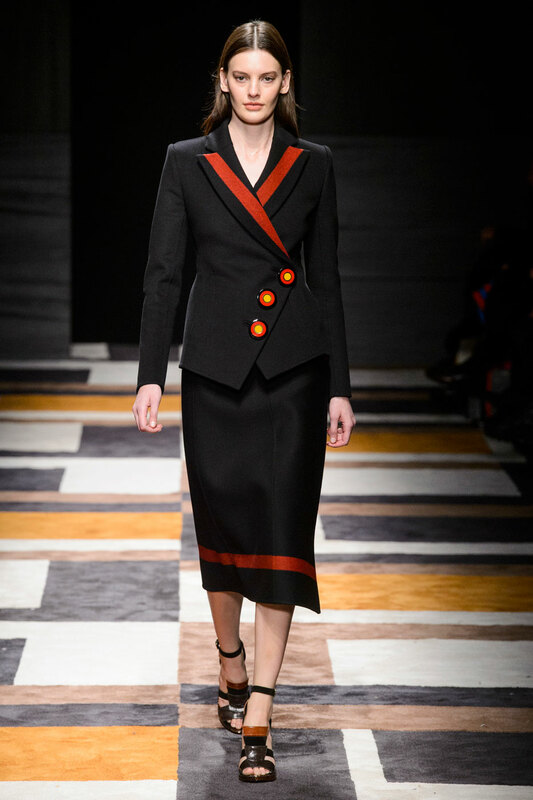 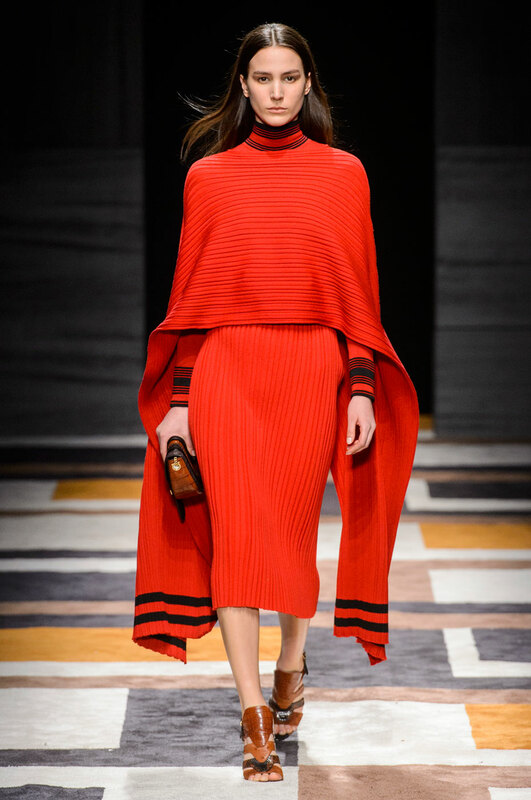 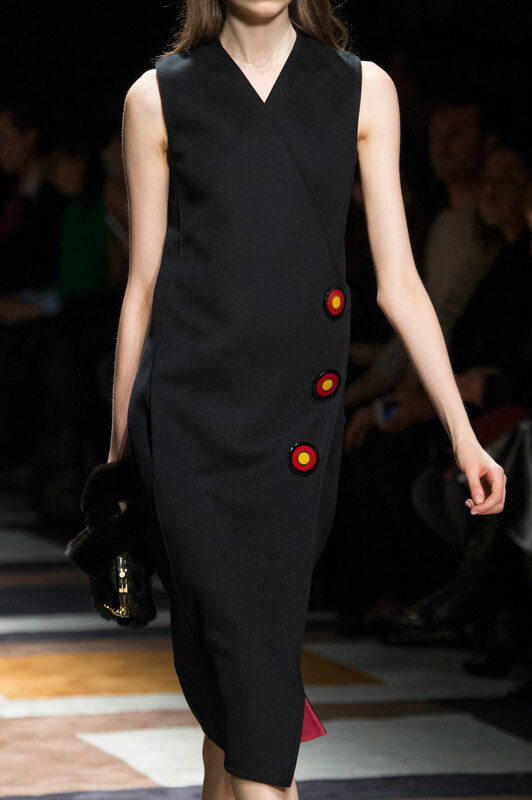 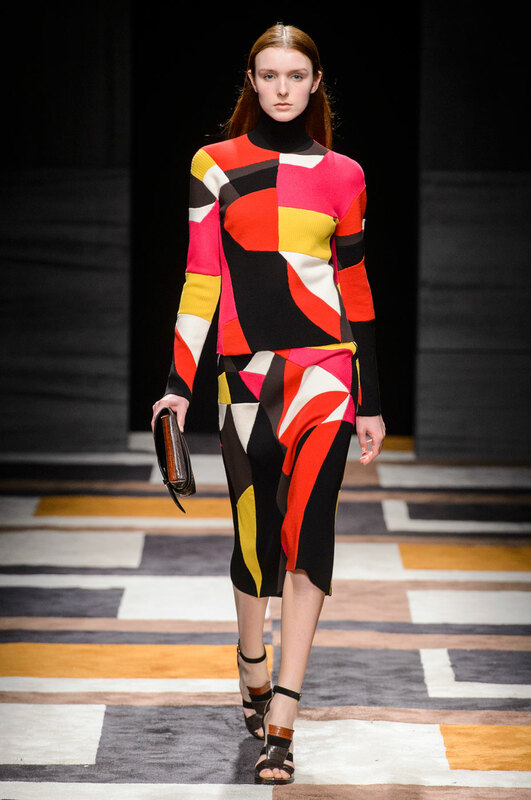 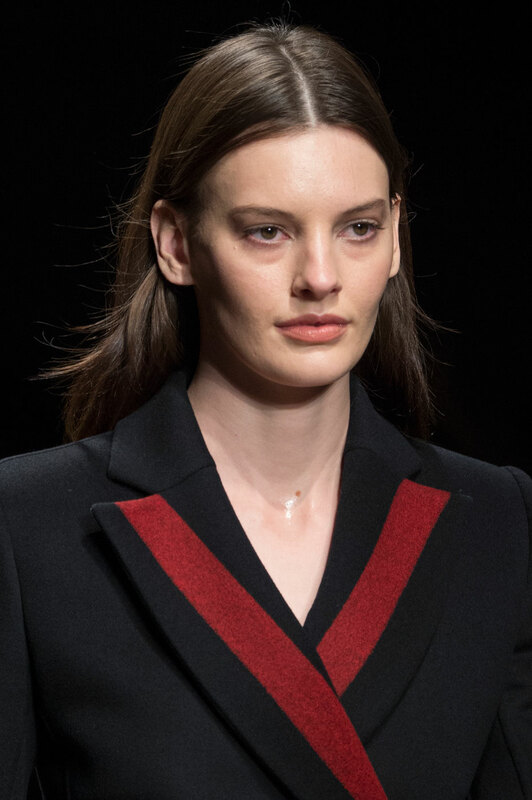 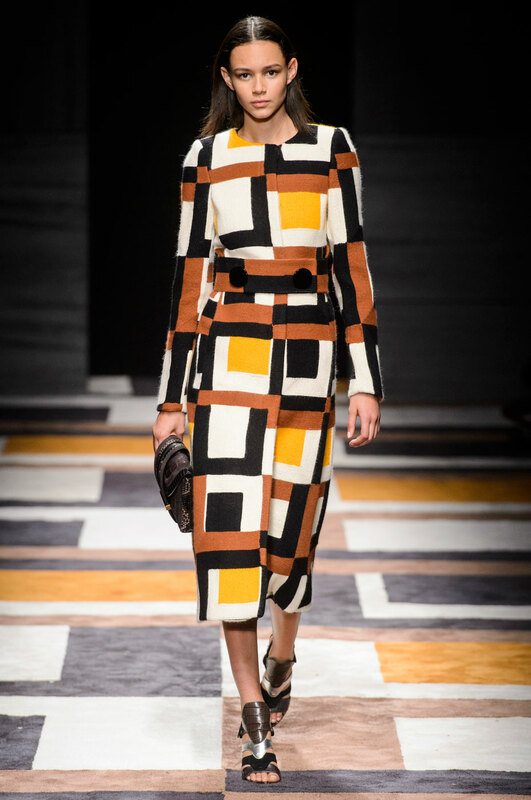 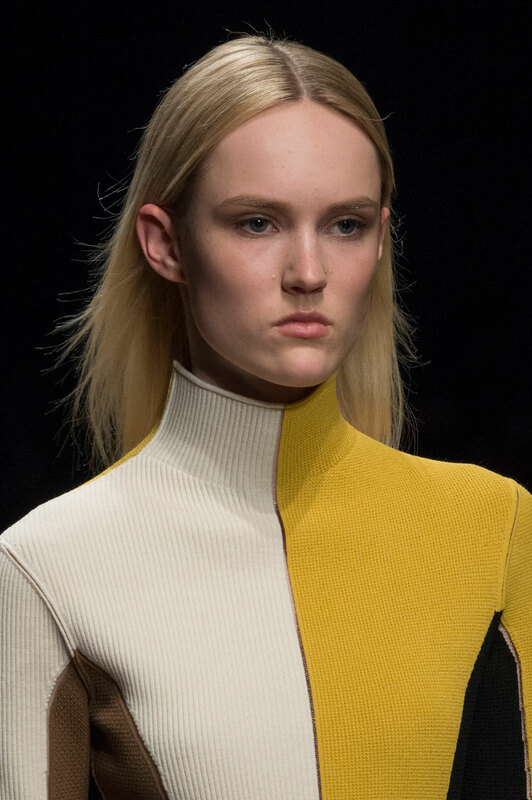 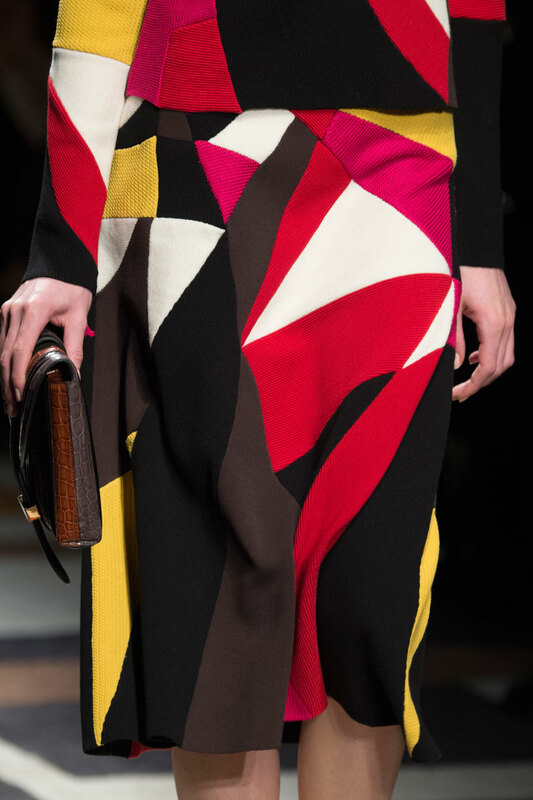 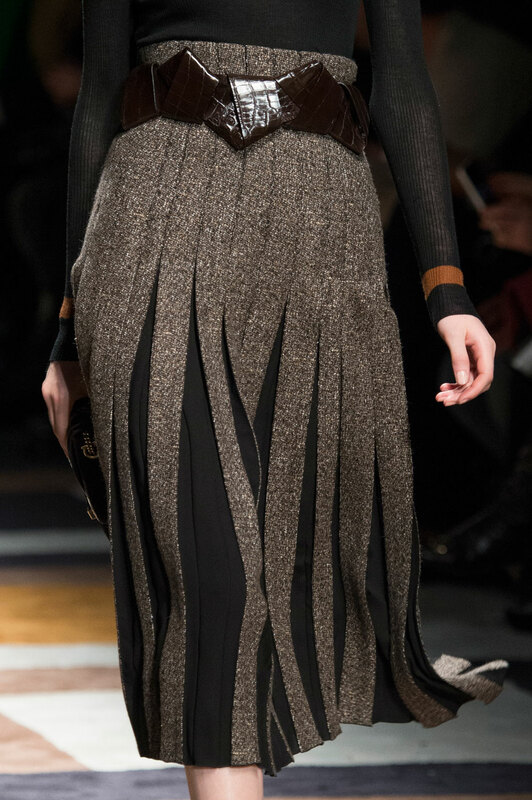 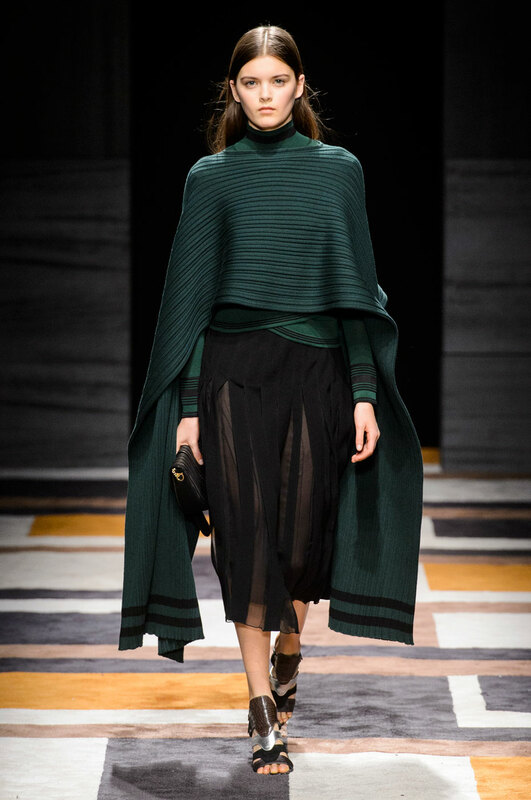 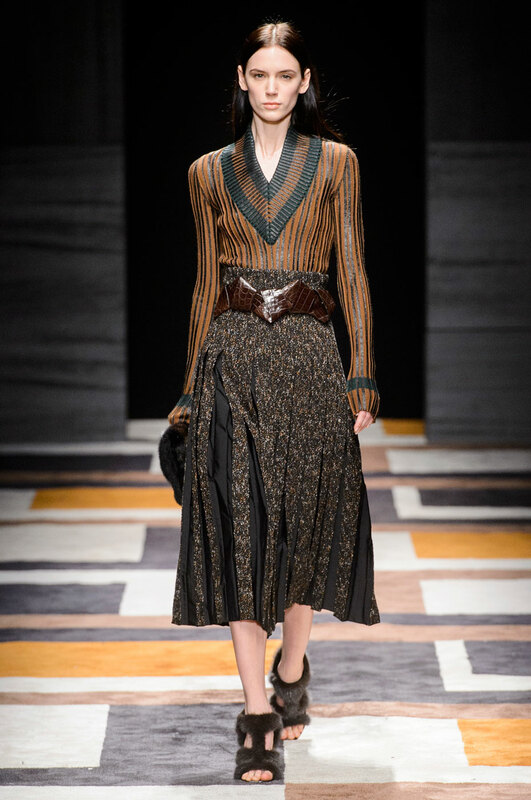 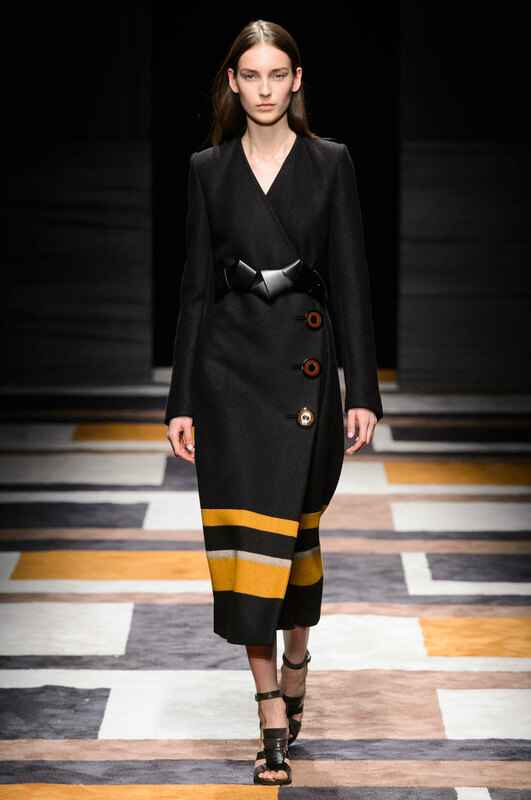 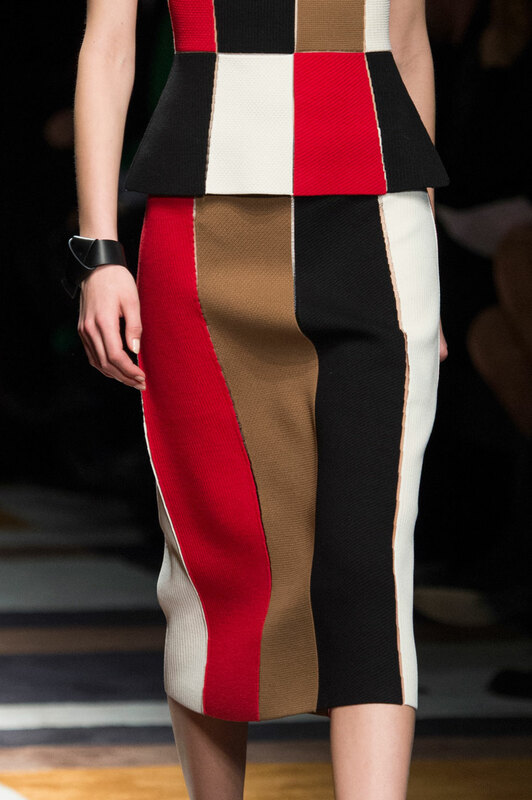 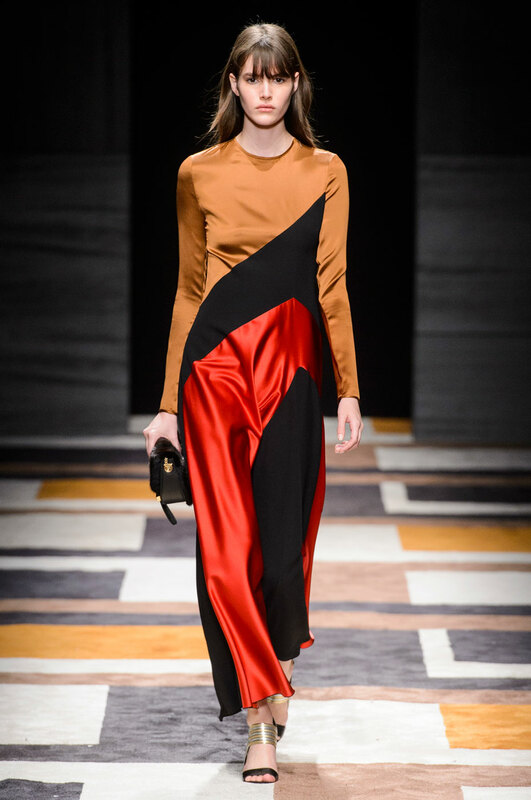 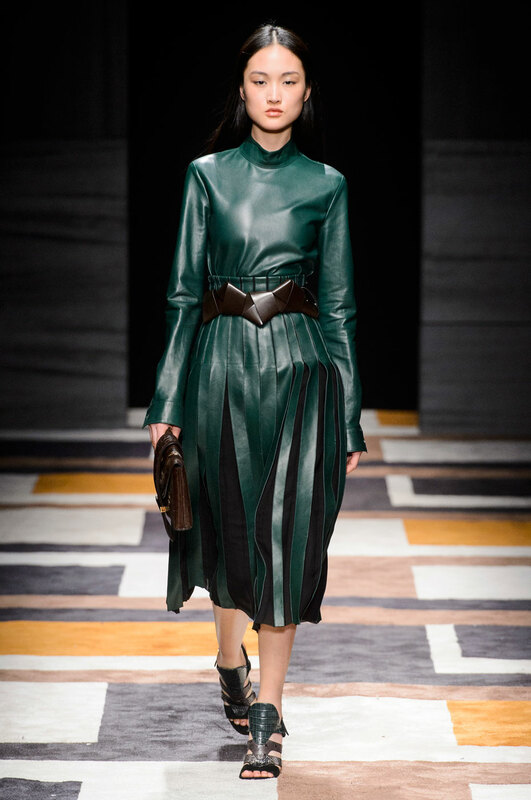 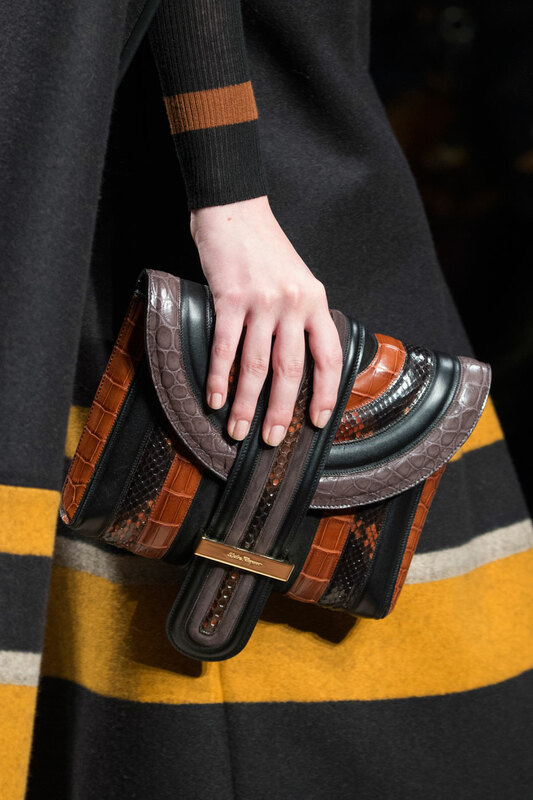 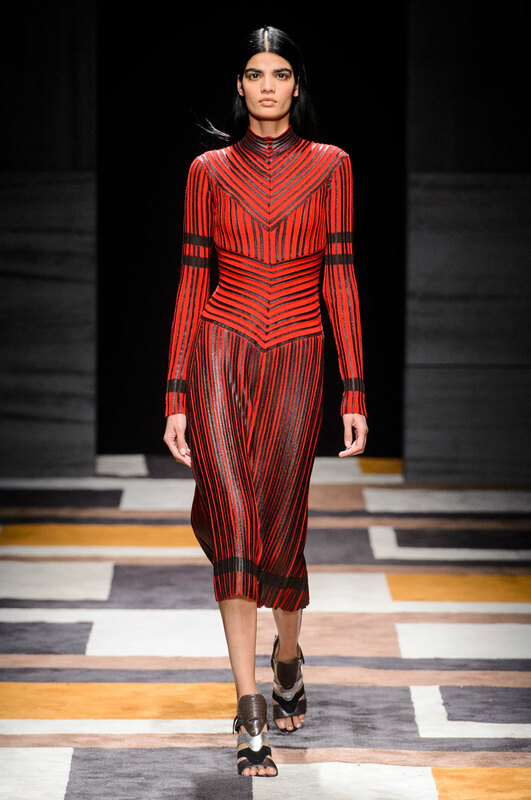 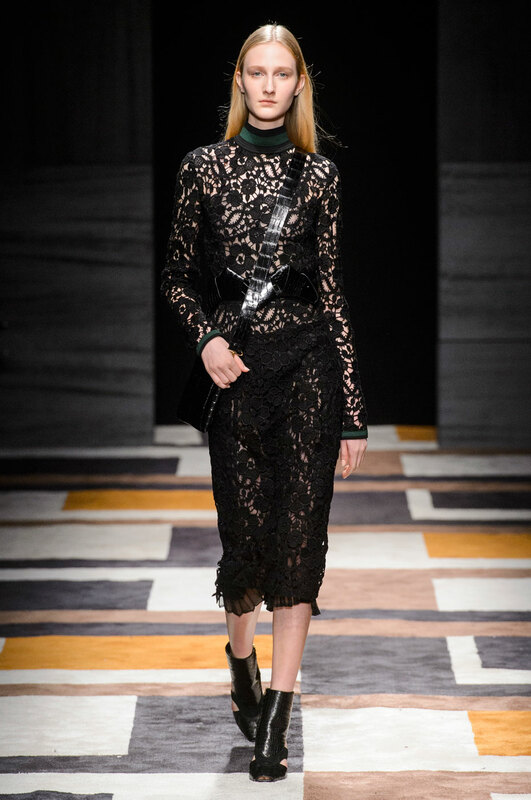 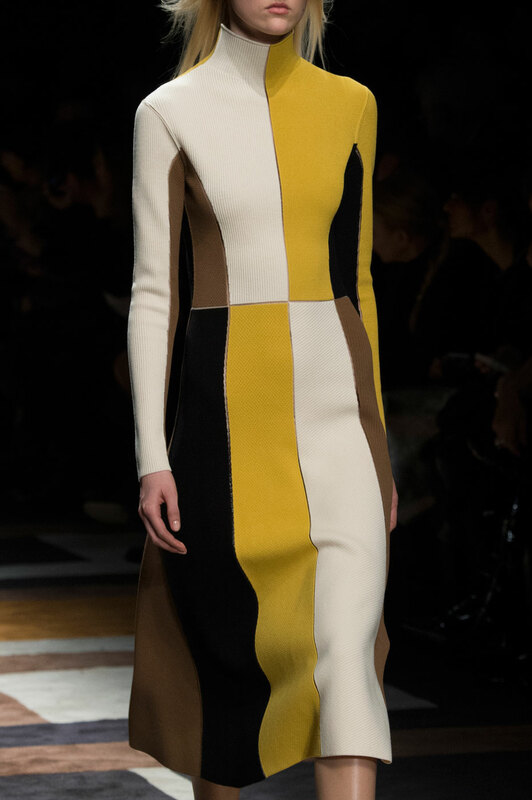 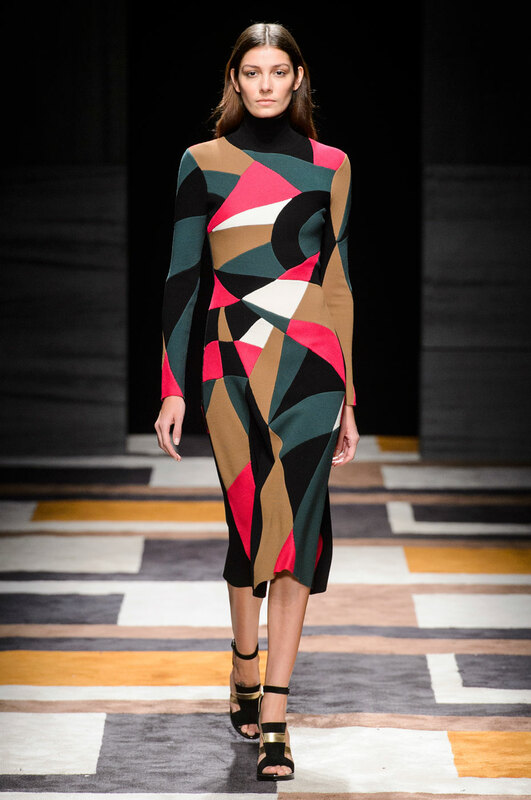 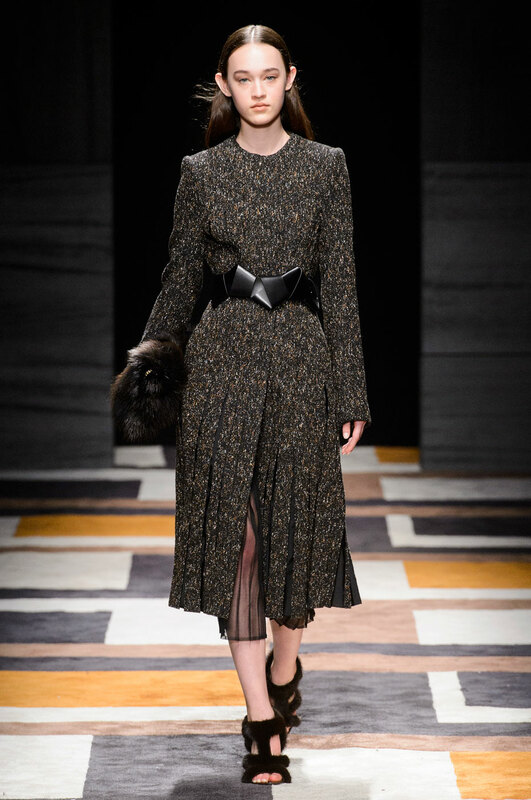 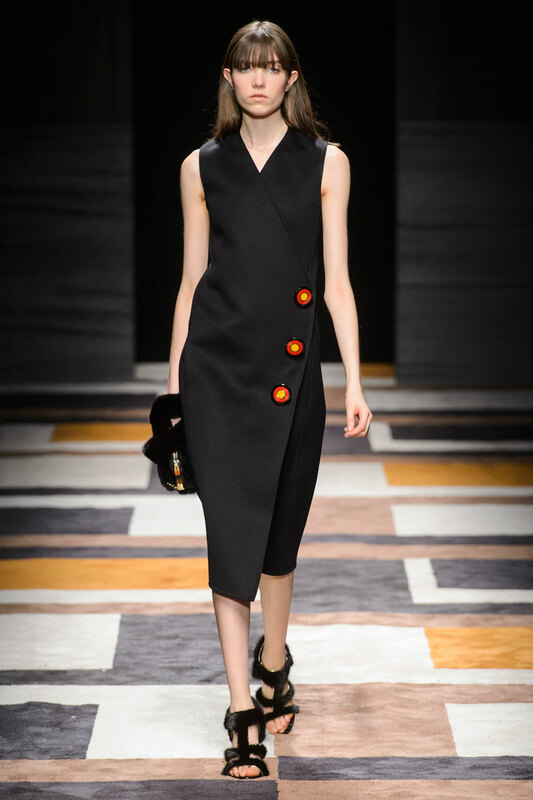 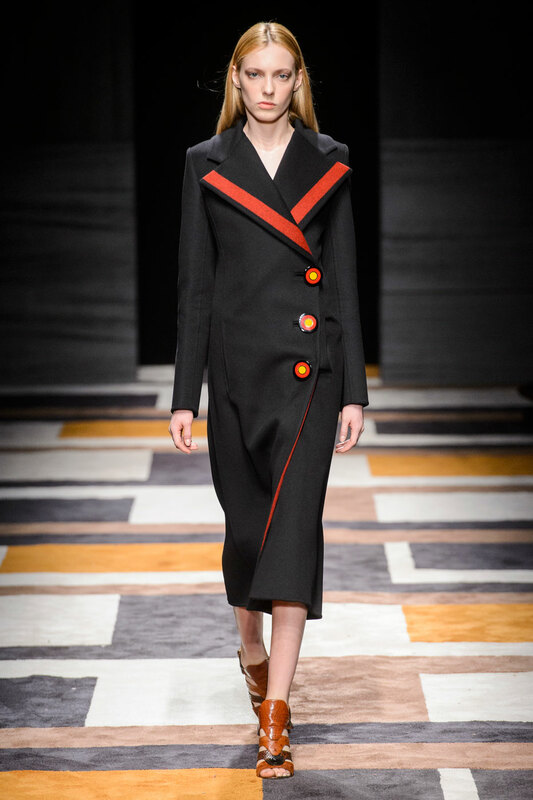 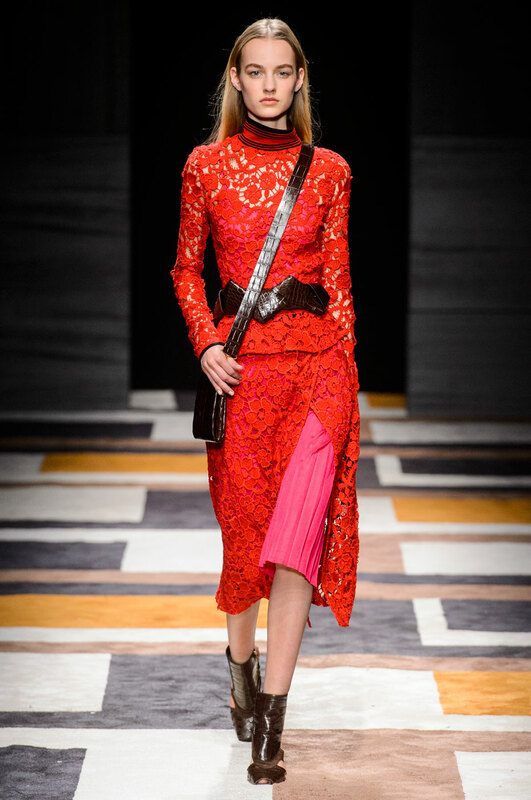 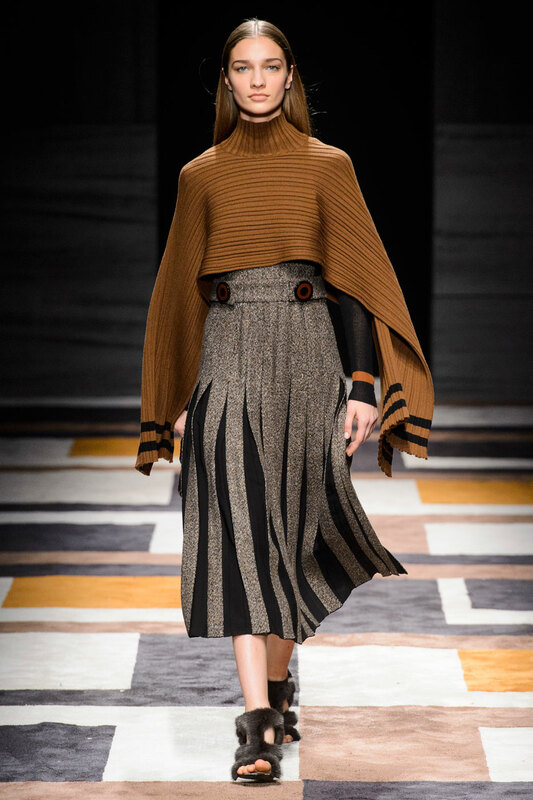 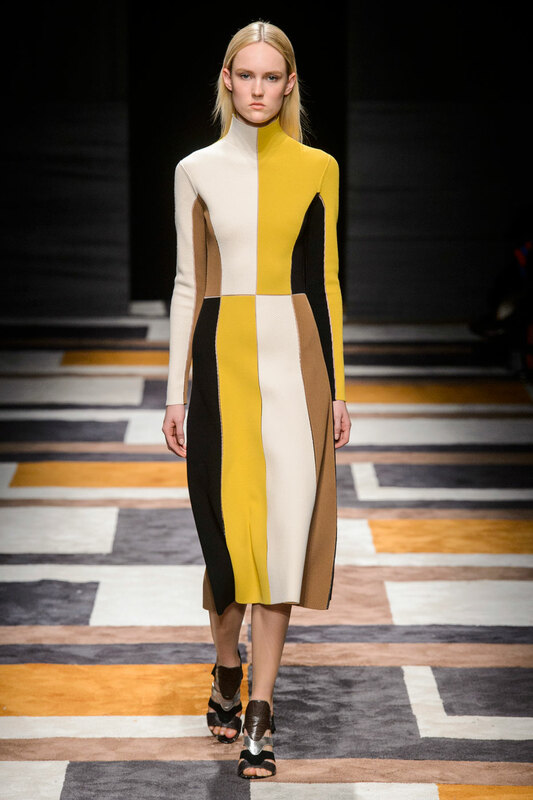 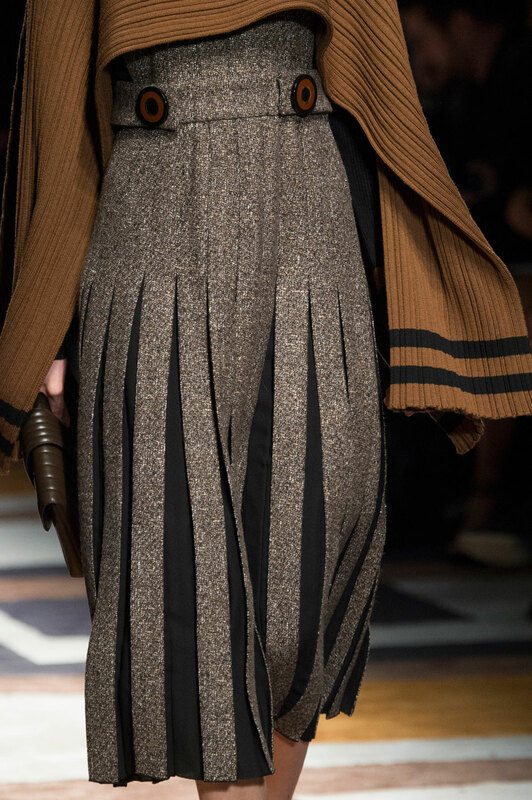 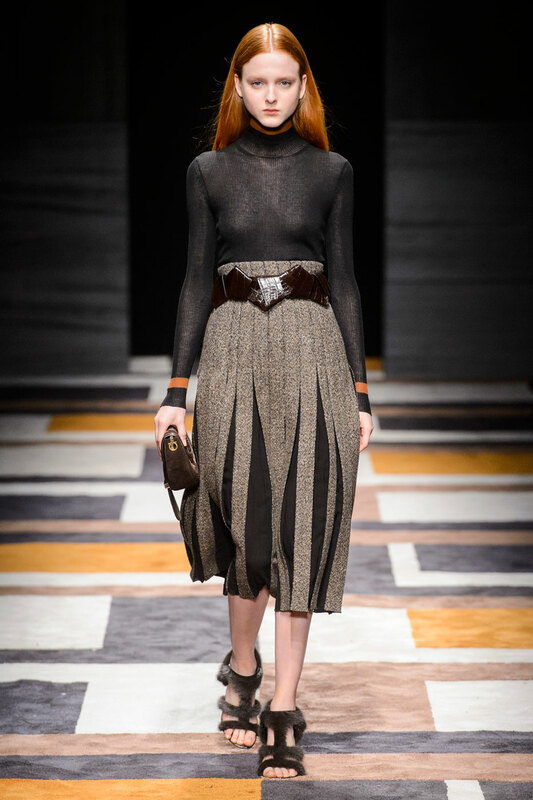 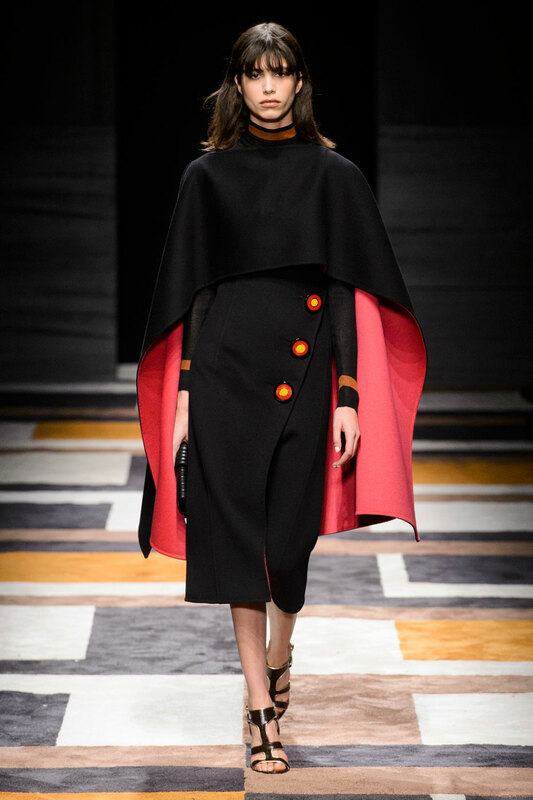 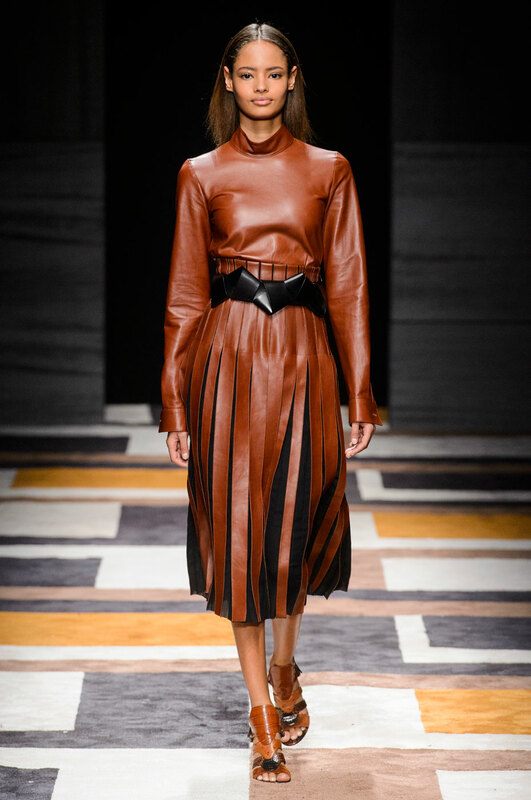 Salvatore Ferragamo Women Autumn-Winter 2015 - Geometric patterns have definitely taken a stand this year in Milan, and Massimiliano Giornetti truly explored them in great depth this season. 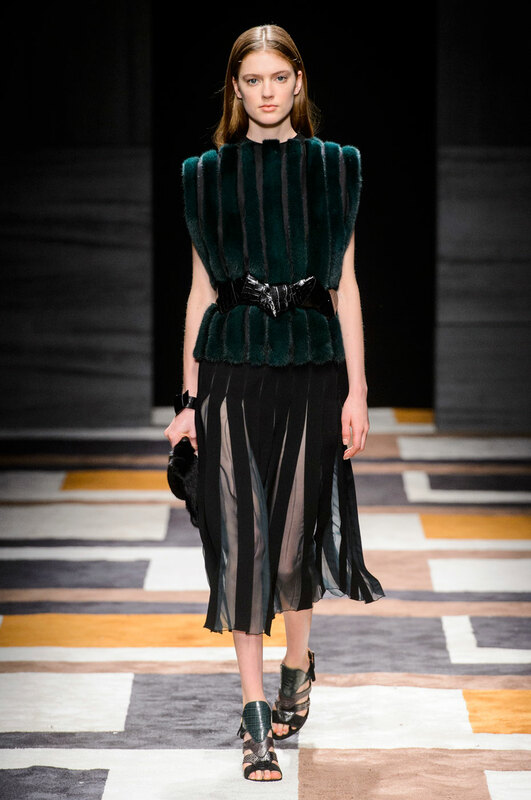 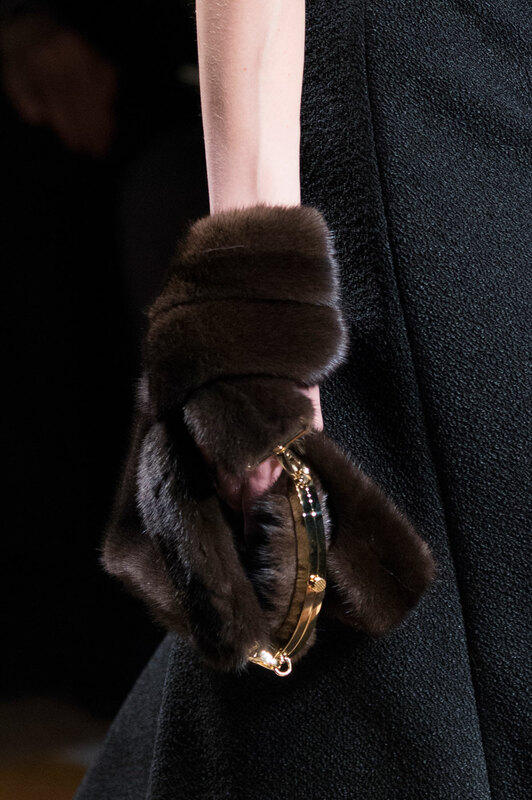 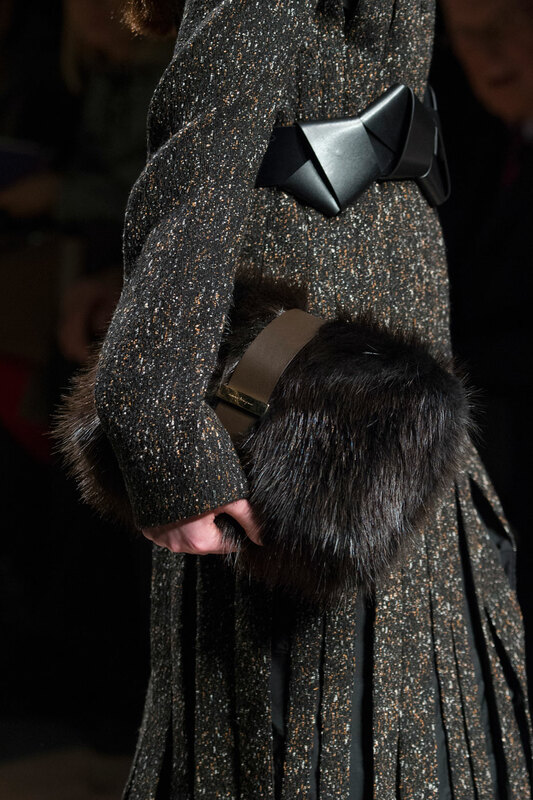 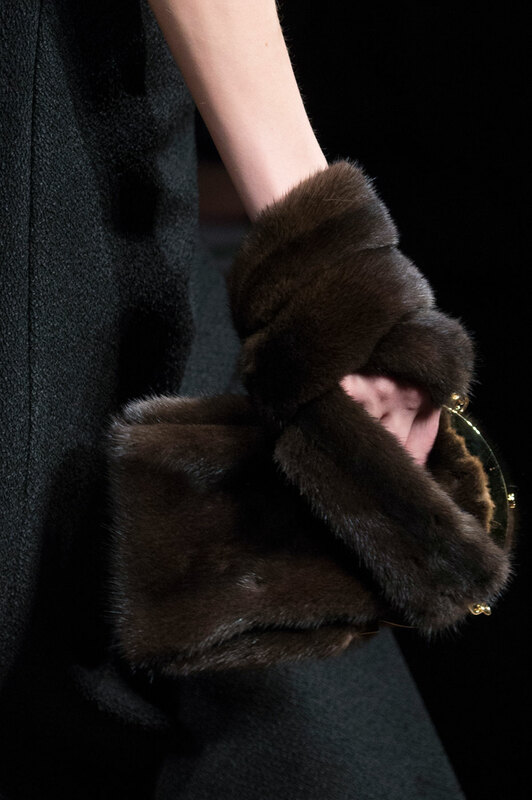 This theme was even expressed through fur, creating some remarkably abstract pieces. 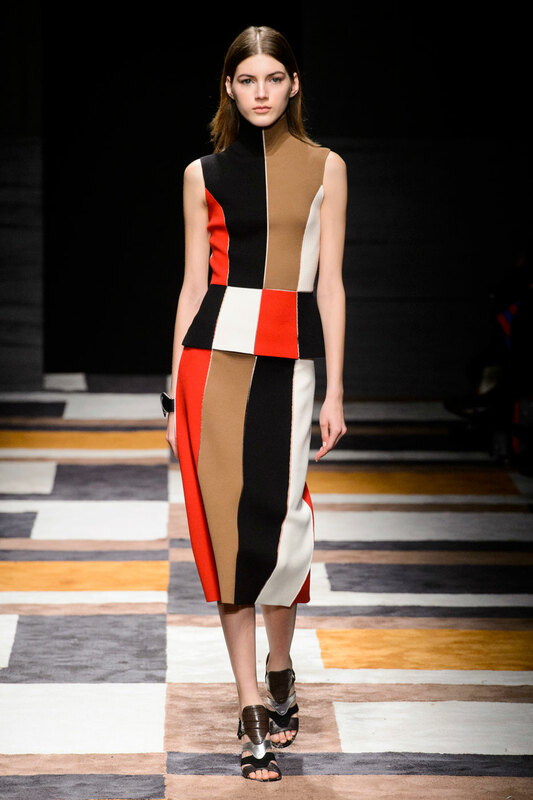 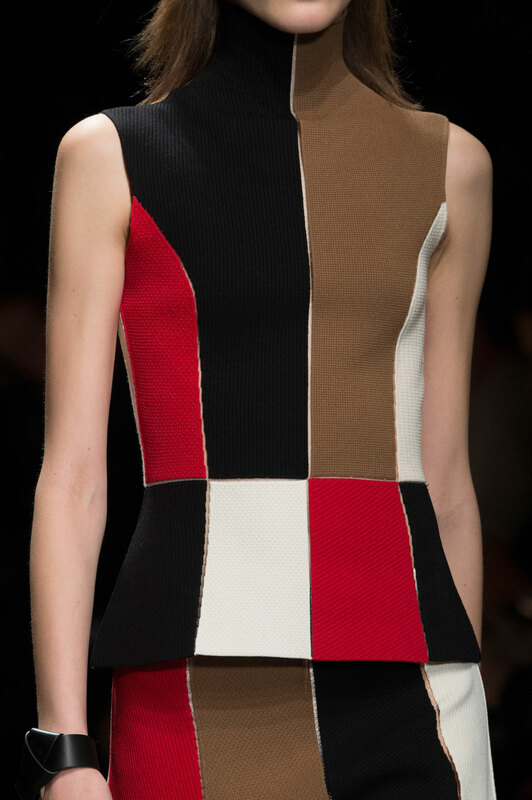 The mixture of rectangular shapes and lines were all complimented through a variety of sharply cut rich textures. 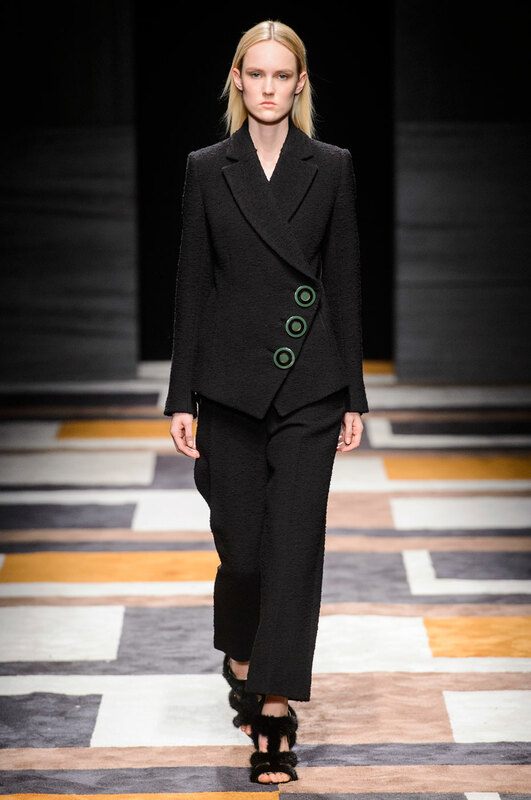 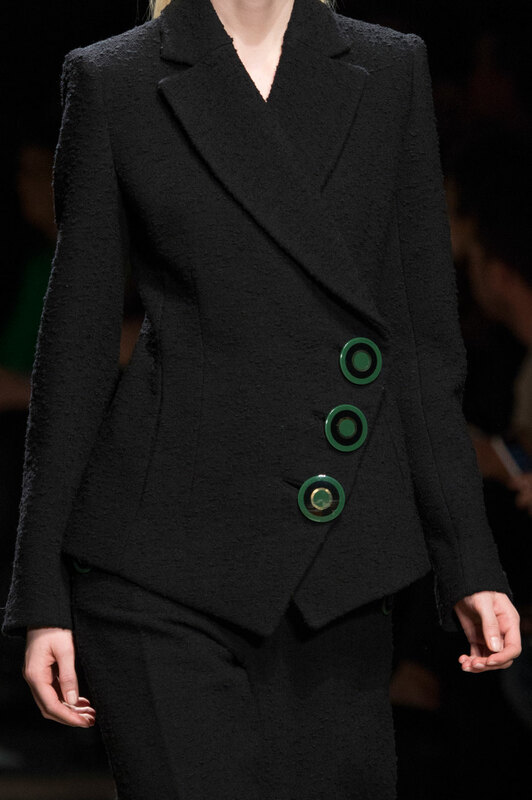 And on more masculine, tailored pieces, these structures emphasised the direction of cut in each design. 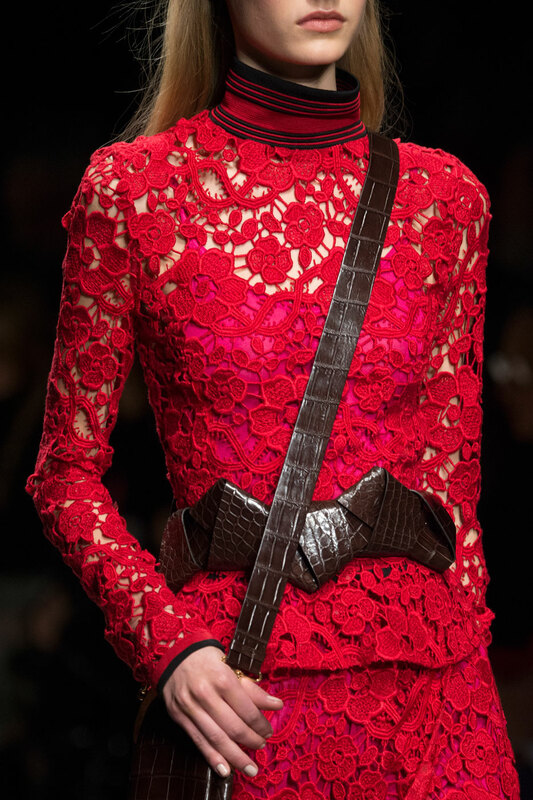 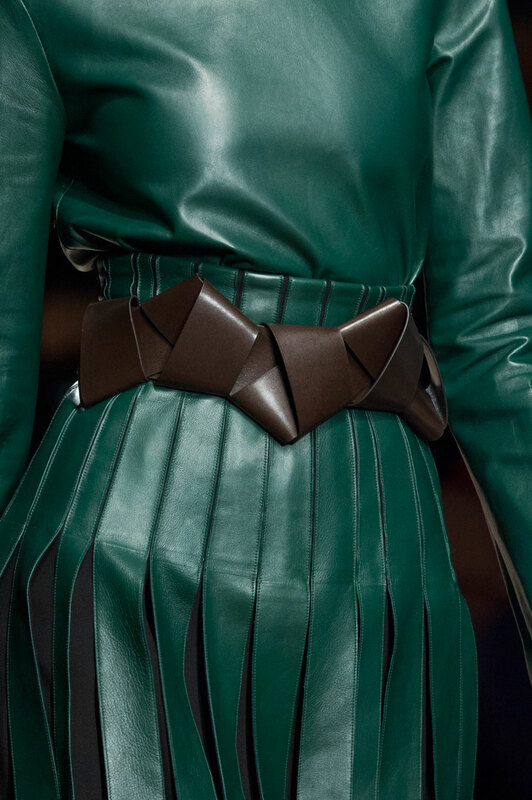 Buttons and belts were bold and proper, increasing detail within each look, the belts in particular mutating the structure of basic shapes. 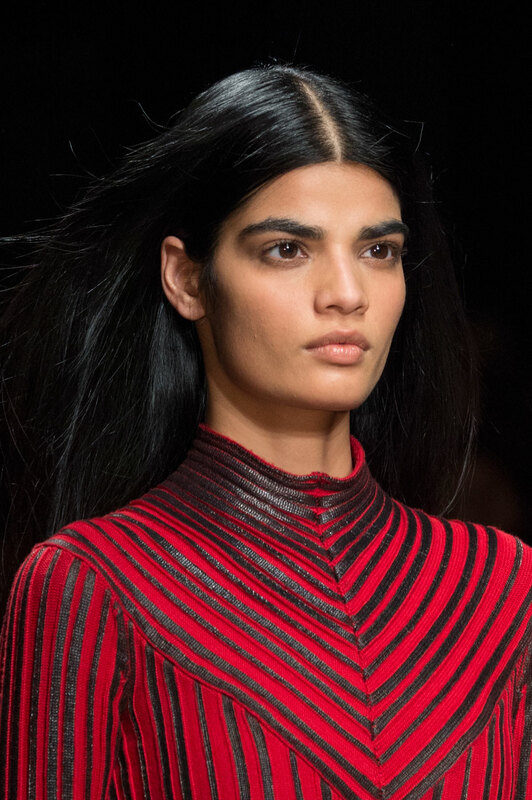 The combining of textures gave each part of the looks make their own bold statement, with striped silk blouses styled with tougher knitted feels. 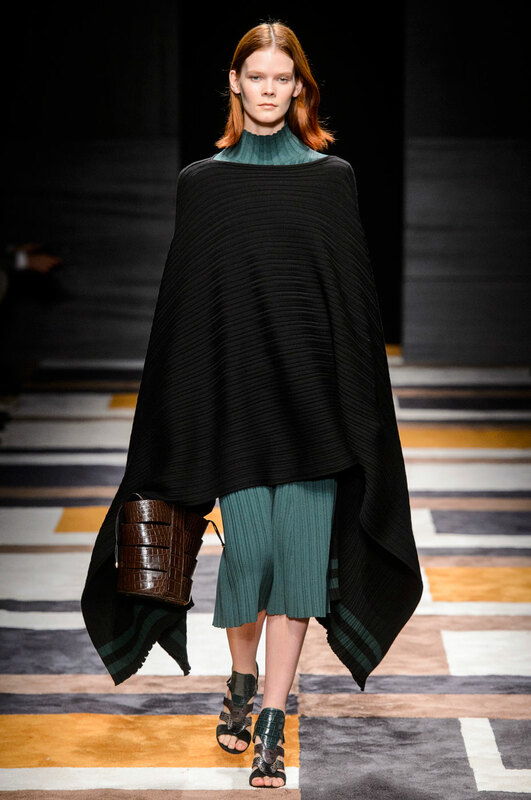 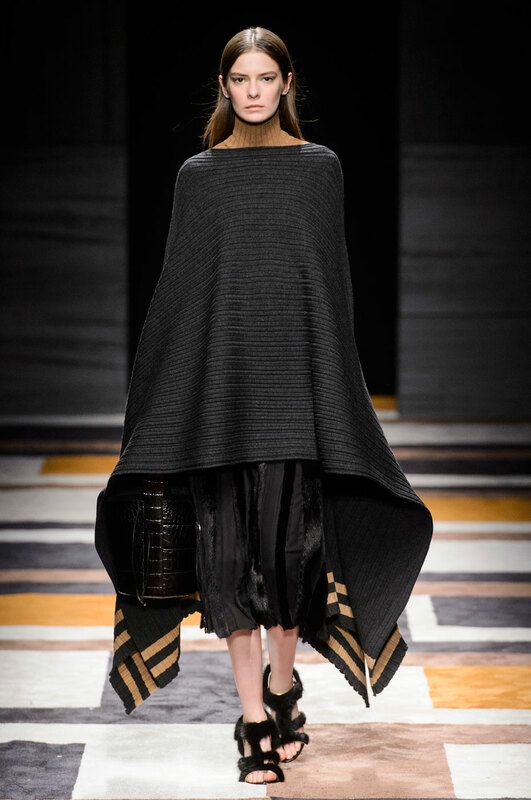 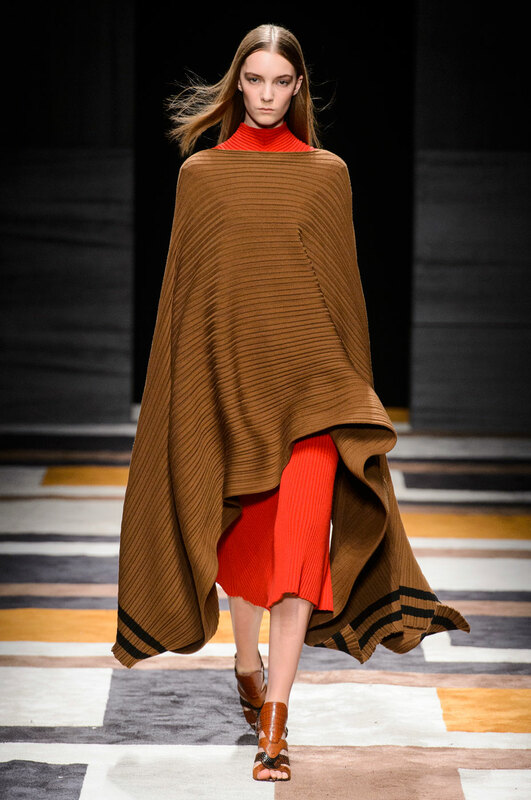 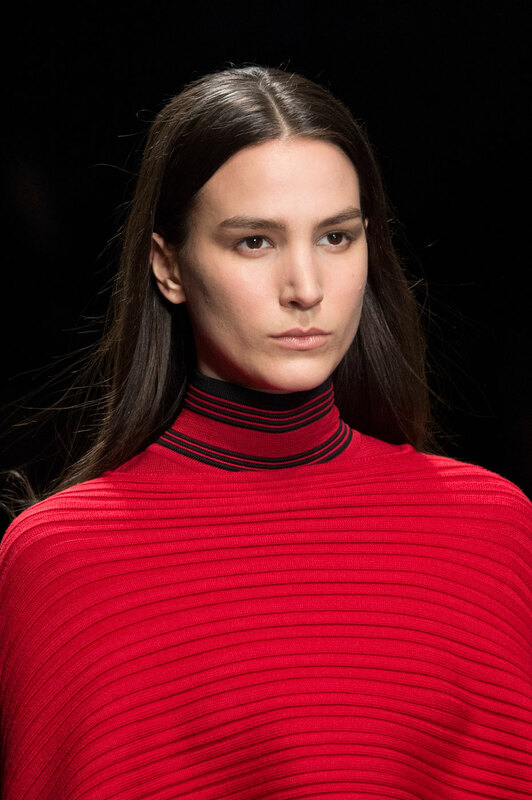 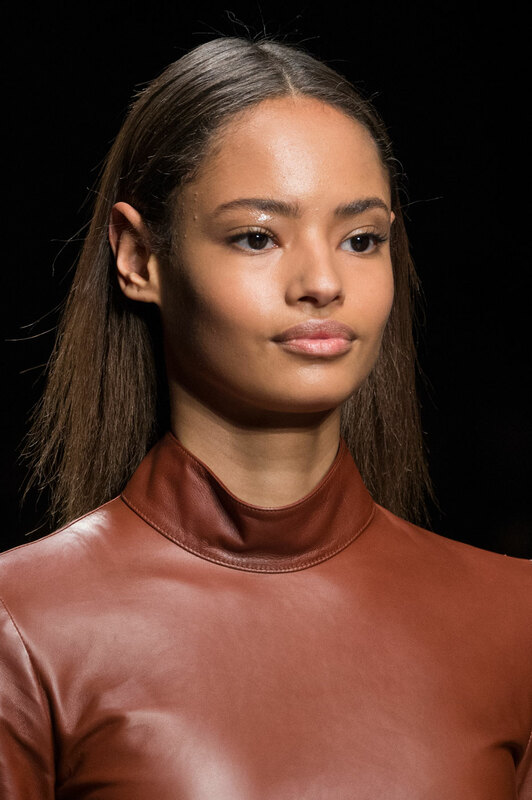 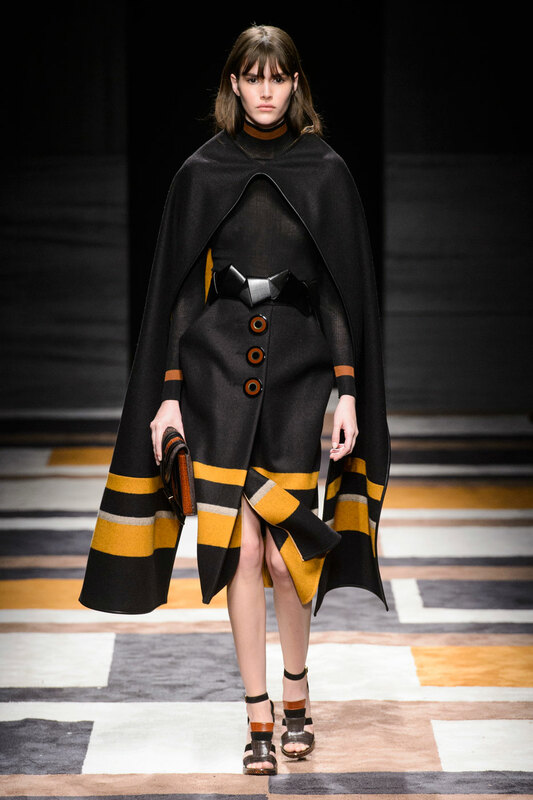 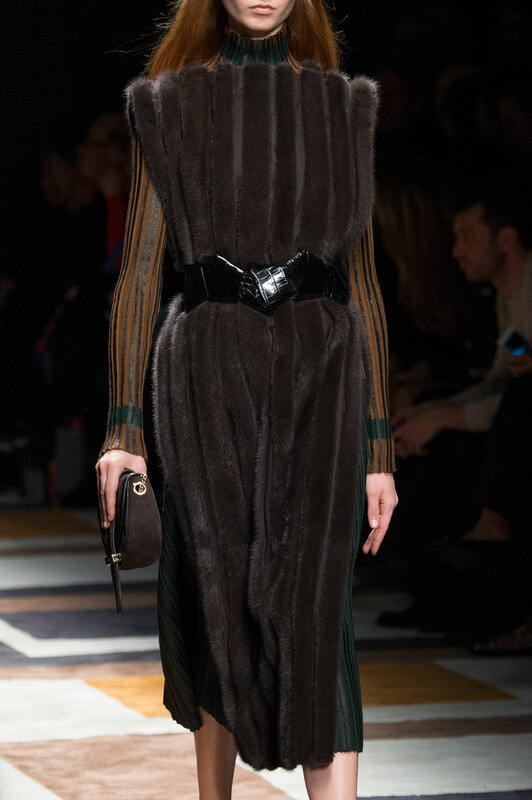 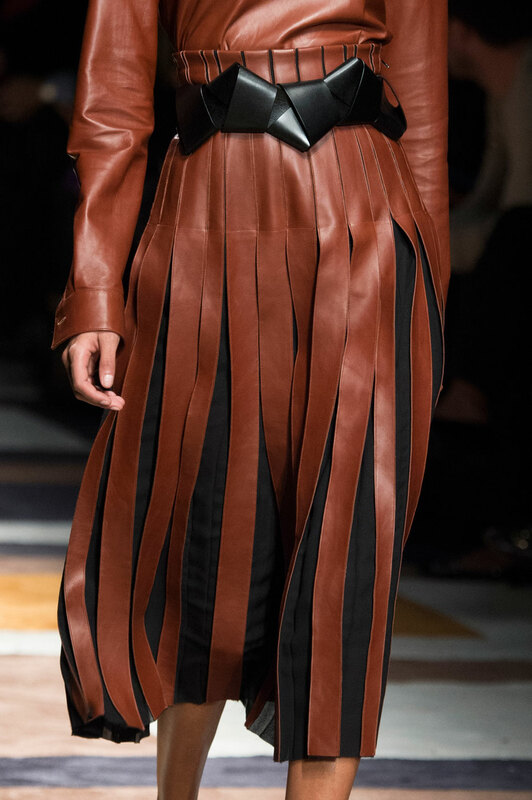 Capes also made an appearance multiple times within the show, with added racer stripes in complimentary tones, giving the looks a sporty, relaxed edge. 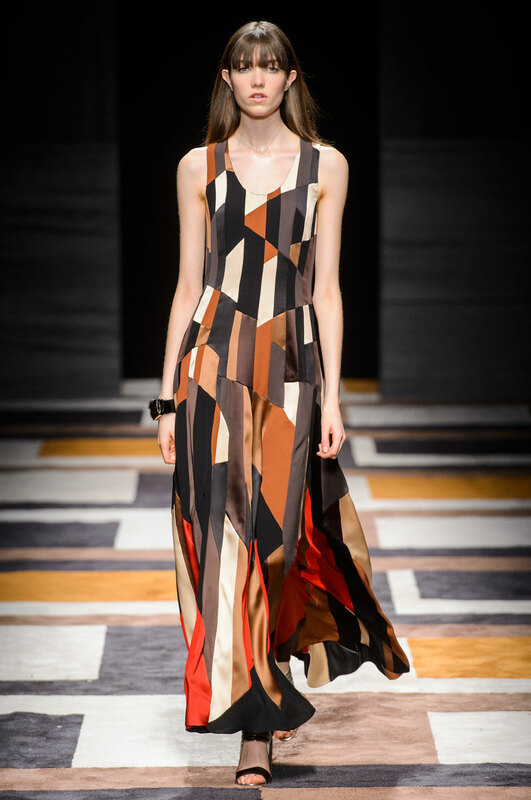 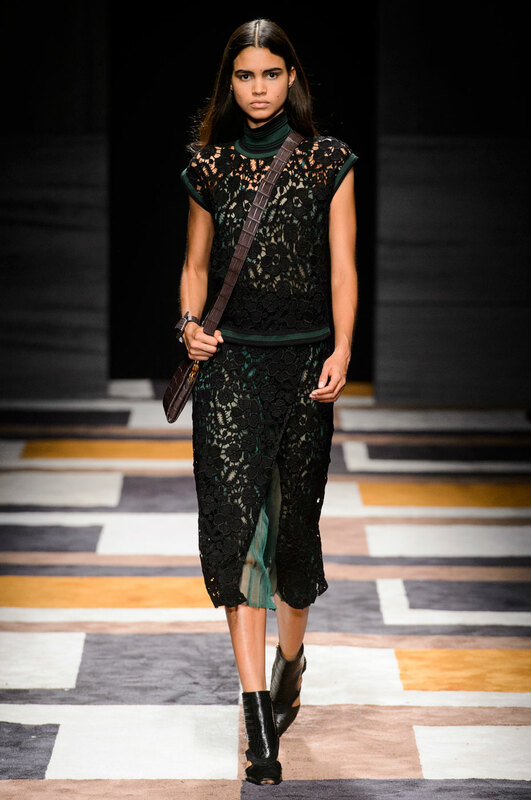 Smarter looks drew attention to diagonal cuts, seen later in evening wear designs also, layered over elegant pleats. 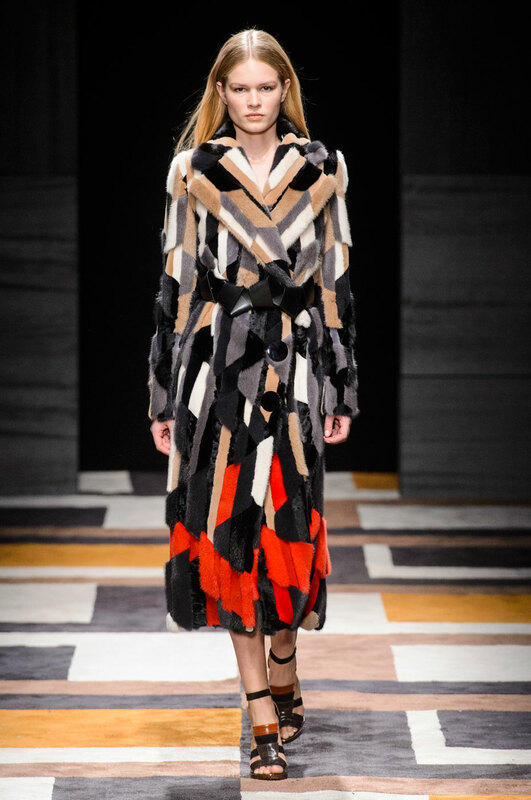 With the geometry theme apparent throughout, in prints and structure, it is a definite trend to look out for this fall, sold to us to well by Giornetti.